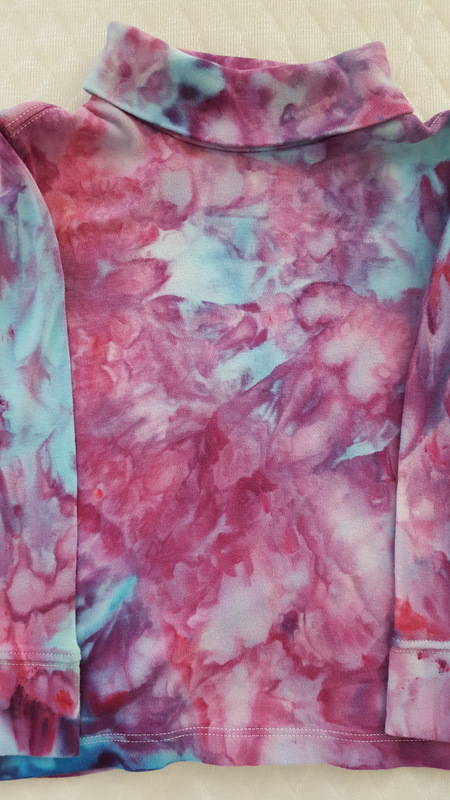 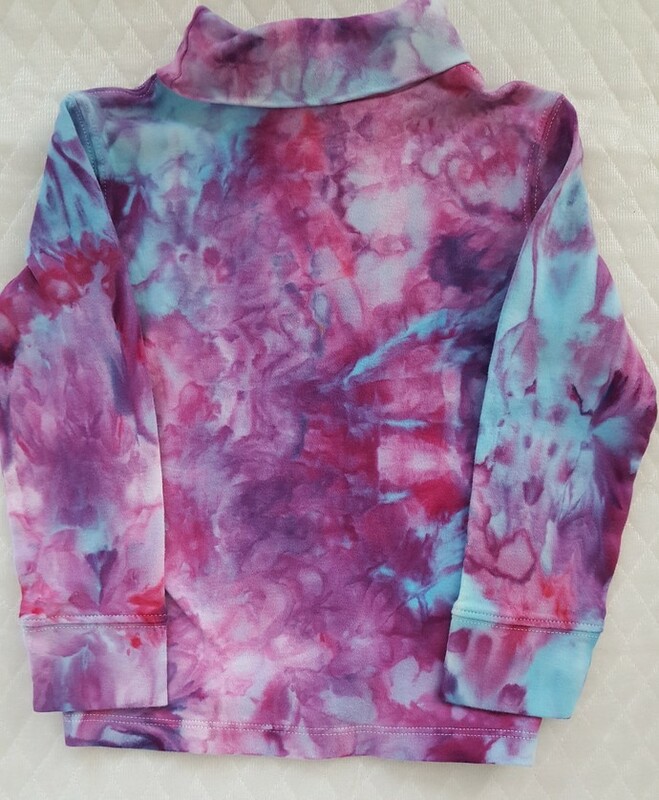 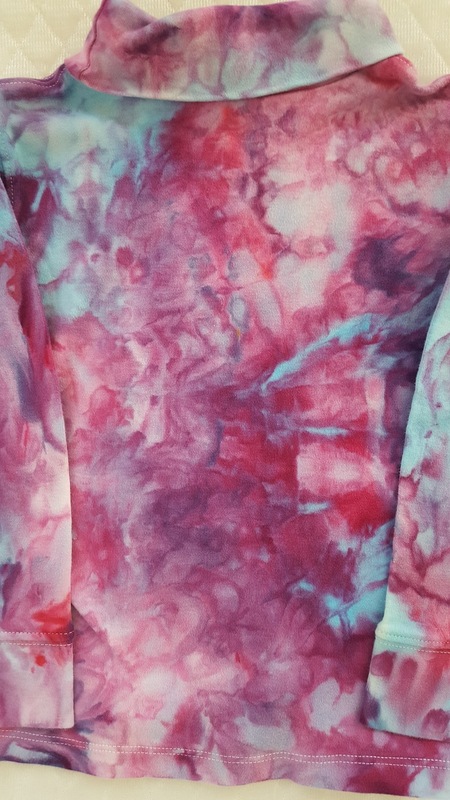 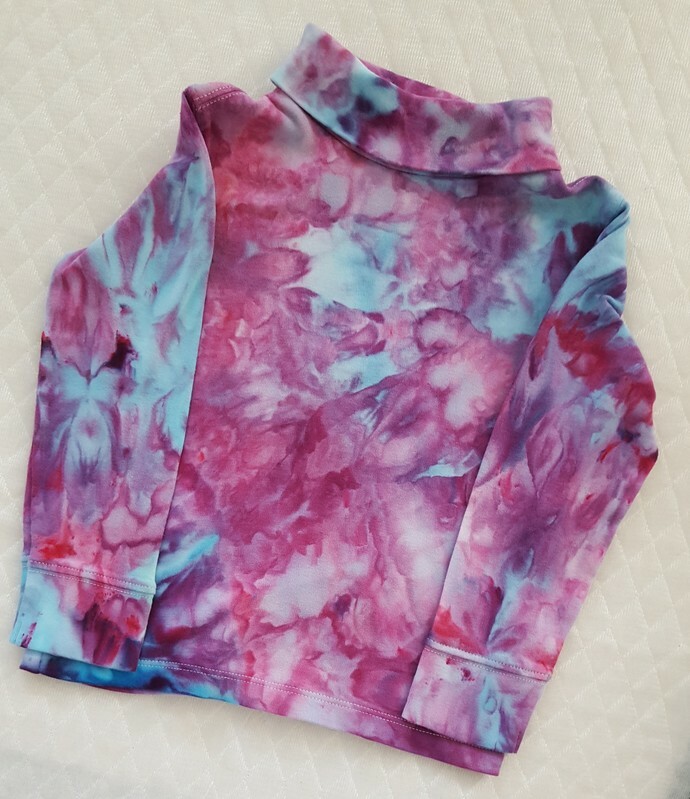 Great pink, aquas and purples in this ice dyed tiddler's turtleneck. 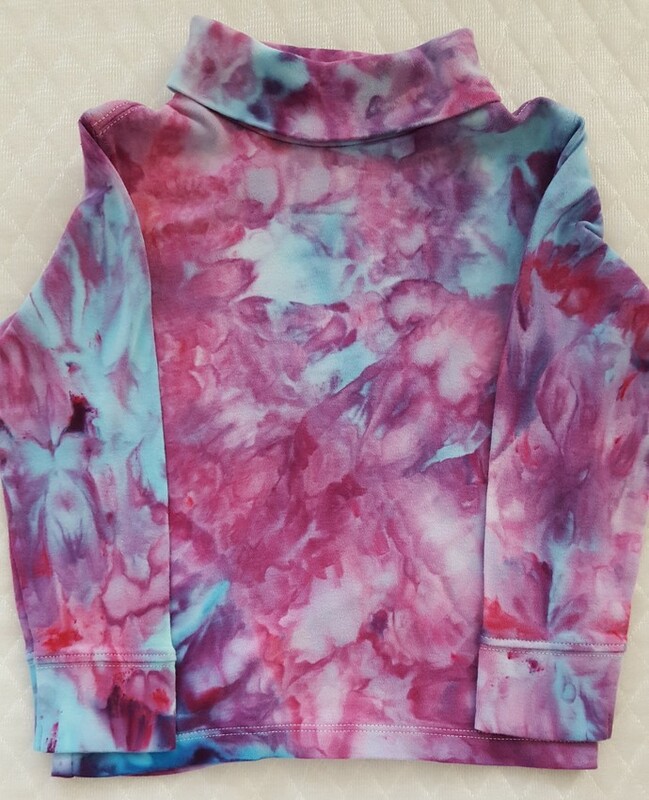 Size 3T, 13" below the armholes, 15" long. 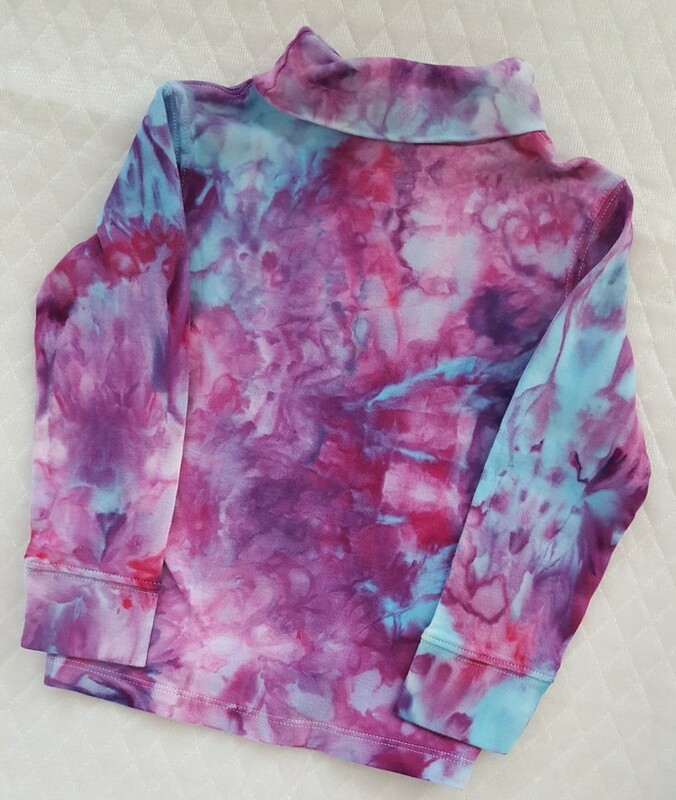 This turtleneck is a "Oshkosh" brand.